Asakusa Hoppy Dori is a street packed with izakayas that retains an old-school charm characteristic of shitamachi or downtown Tokyo. It has recently gained popularity among tourists seeking an underground izakaya scene. Furthermore, drinks are cheap and the area is perfect for bar hopping. In this article, we’ll introduce 5 recommended izakayas in Asakusa Hoppy Dori. What is Asakusa Hoppy Dori? Asakusa Hoppy Dori is named after an alcoholic drink called “hoppy”. As the name suggests, hoppy is a signature drink of this area. Hoppy tastes similar to a beer, so it was favored among the working class who could not afford beer. The working class residents of Asakusa took to hoppy and a street was eventually named in honor of the drink. Bar hopping to sample foods and drinks at various izakayas is a popular activity in Hoppy Dori. 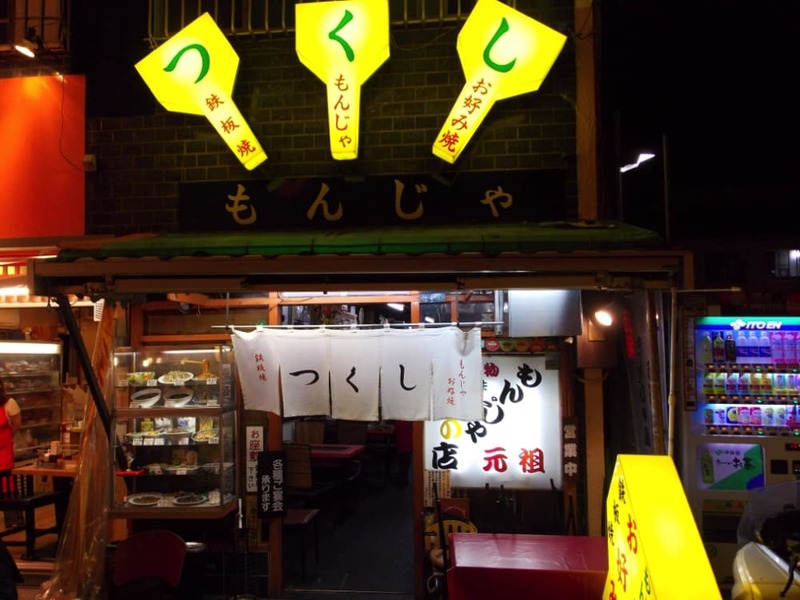 “Izakaya Koji” is a popular izakaya on Hoppy Dori packed with retro-charm. The izakaya was recently remodeled, so it’s pleasantly clean, while also preserving much of its original character. Recommended menu items are staples like beef tendon stew and unique items such as deep-fried natto. Regardless of what you choose, all menu items pair well with hoppy. Another draw of Izakaya Koji is the friendly atmosphere and casual interaction between first-time visitors and regulars. Why not start your tour of Asakusa at Izakaya Koji? Asakusa Sakaba Okamoto is a well-established izakaya that’s been in business for 58 years on Hoppy Dori. The décor is retro, like much of Hoppy Dori, and visitors can choose from various types of seating – counter, table, and zashiki (a tatami dining deck). Zashiki seating will give you the full Japanese experience, so grab it if it’s open. Recommended menu items are the “original beef tendon and offal stew” and “whale sashimi”, among other dishes. Asakusa Sakaba Okamoto is a perfect choice for those that want to eat delicious food at an old-school establishment. Shochan is another well-established izakaya that’s been in business since 1951. Shochan is first and foremost known for the convivial atmosphere created by the customers and staff. A welcoming vibe pervades the izakaya and it’s not uncommon that you make new friends with your neighboring table. The beef tendon stew, which is very popular, and sake make for perfect snacks, while you socialize with local diners and visitors. Shochan preserves its original architecture, but was recently renovated in 2015 and is suitably clean. Torisho is a relative newcomer to Hoppy Dori, having opened in 2014. It differentiates itself from neighboring izakayas by serving yakitori – a must-try cuisine for visitors. Torisho takes pride in using quality ingredients and it shows in the excellent food. In particular, the raw tsukune, a skewer made from ground chicken, and white liver are must-try dishes. Torisho also stocks sake that pair well with the food, so certainly try them out too. Tsukushi is a famed restaurant serving monjayaki – a popular cuisine in Tokyo. Tsukushi’s Hoppy Dori branch serves alcohol in addition to monjayaki, which is a pancake-like food made by pan-frying a mixture of flour, a generous amount of water, dashi-stock, and fillings. Visitors love the peculiar look of monjayaki. Feast on monjayaki to your heart’s content and experience a piece of Japanese food culture. The restaurant is spacious and relatively easy to get a seat, so if you’re stuck for where to go, start off at Tsukushi. 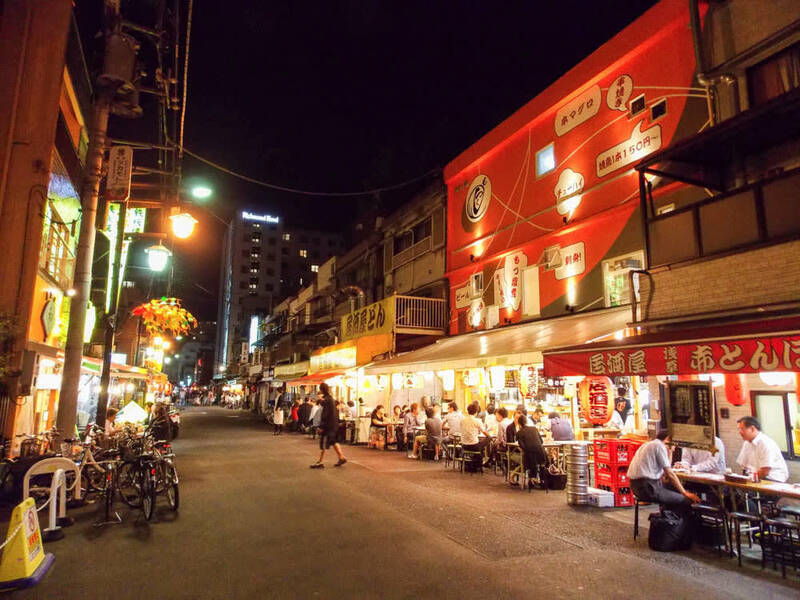 Guided Tour: Drink in the Backstreets of Asakusa! 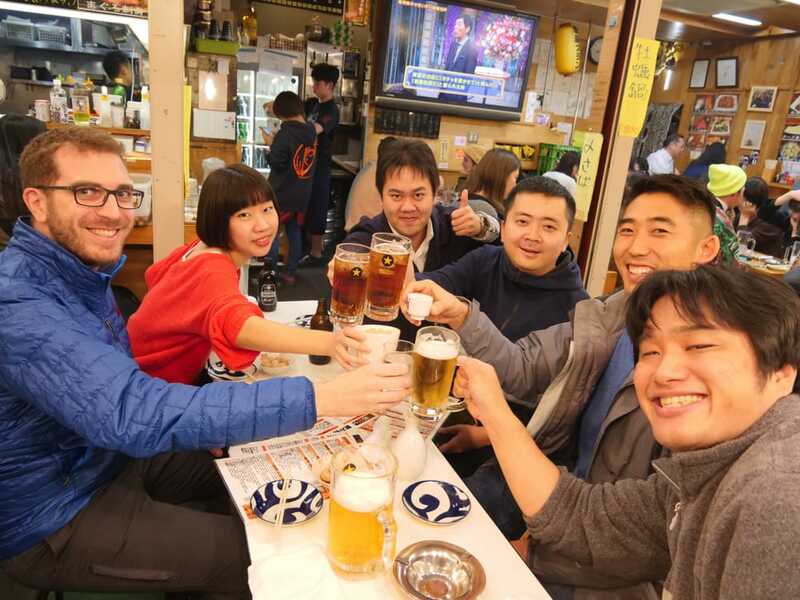 Hop around the backstreet izakayas of Asakusa through a guided Tokyo bar hopping night tour. A guide will not only take you to the best izakayas, but also lead you through menus and teach you drinking techniques. 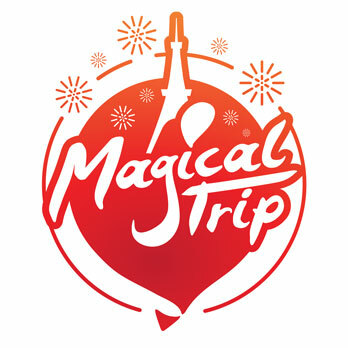 Additionally, the guide will offer recommendations on photo spots, so it’s a perfect addition to a travel itinerary.